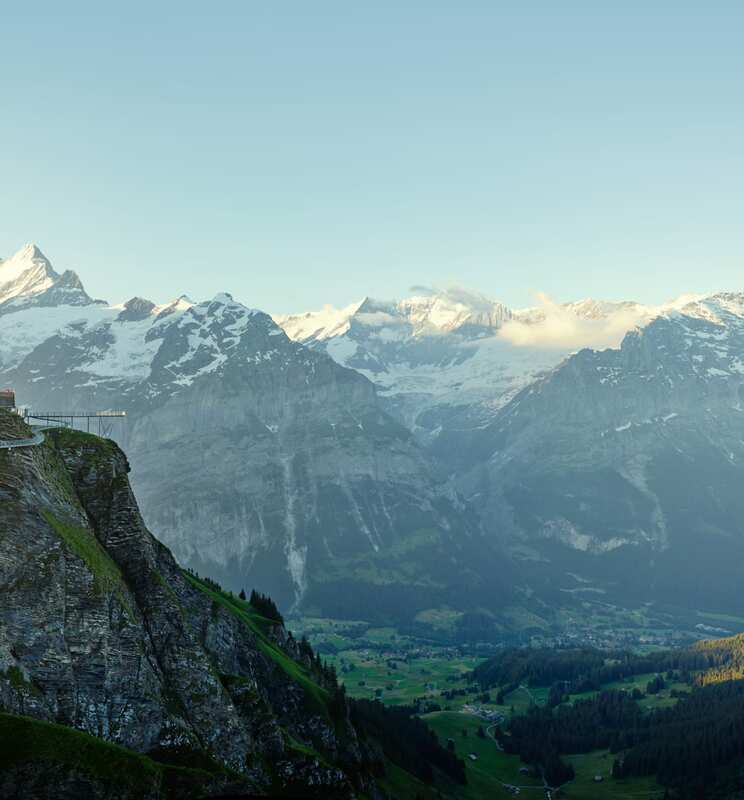 If Interlaken had a king, he would reside on the Harder Kulm. 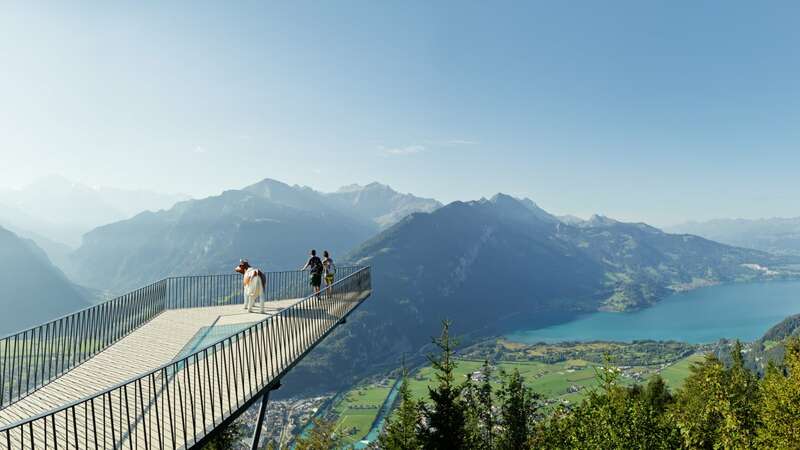 From the viewing platform at 1,322 metres above sea level he would graciously look down upon Lake Brienz and Lake Thun, or admire the Eiger, Mönch, and Jungfrau. 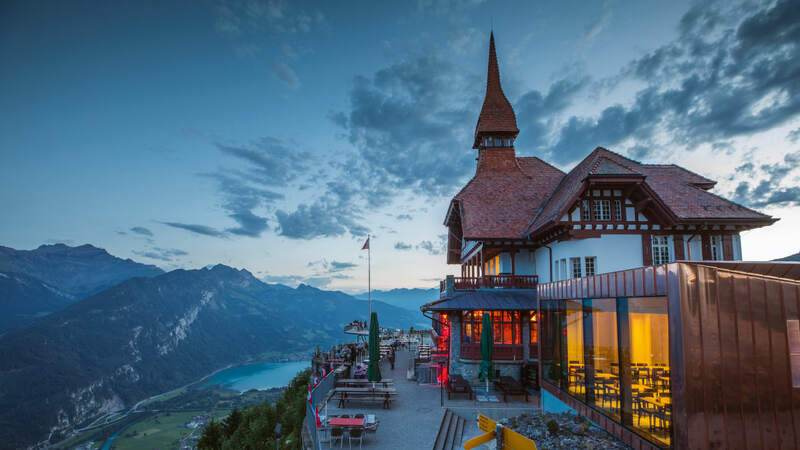 In fact, the Harder Kulm Panorama Restaurant is reminiscent of a castle. 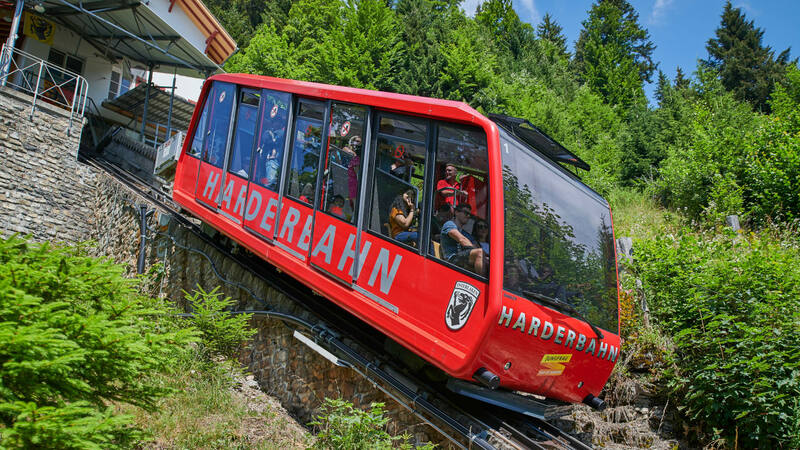 In order to visit it, however, you don't need to be a king – just take a seat in the cable car and ascend Interlaken's own mountain. A short walk from Interlaken-Ost railway station to the Harder Railway valley station. 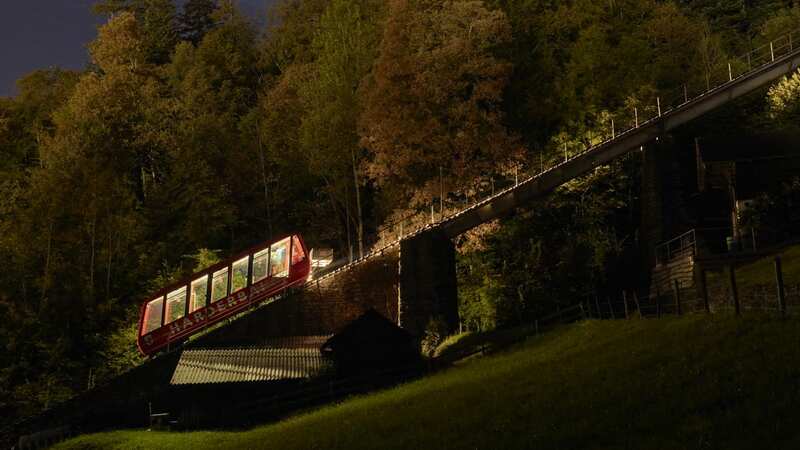 With a modern funicular to Harder Kulm. Travel time from valley station: 10 minutes. The train runs every 30 minutes. 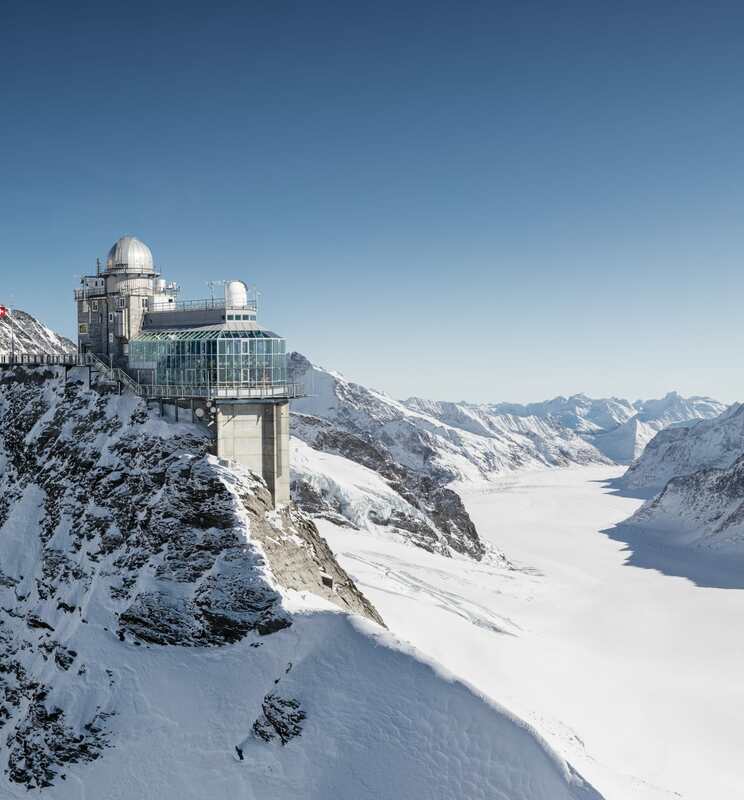 In ten minutes by funicular to 1,322 meters above sea level to the Panorama Restaurant, which resembles a small castle. 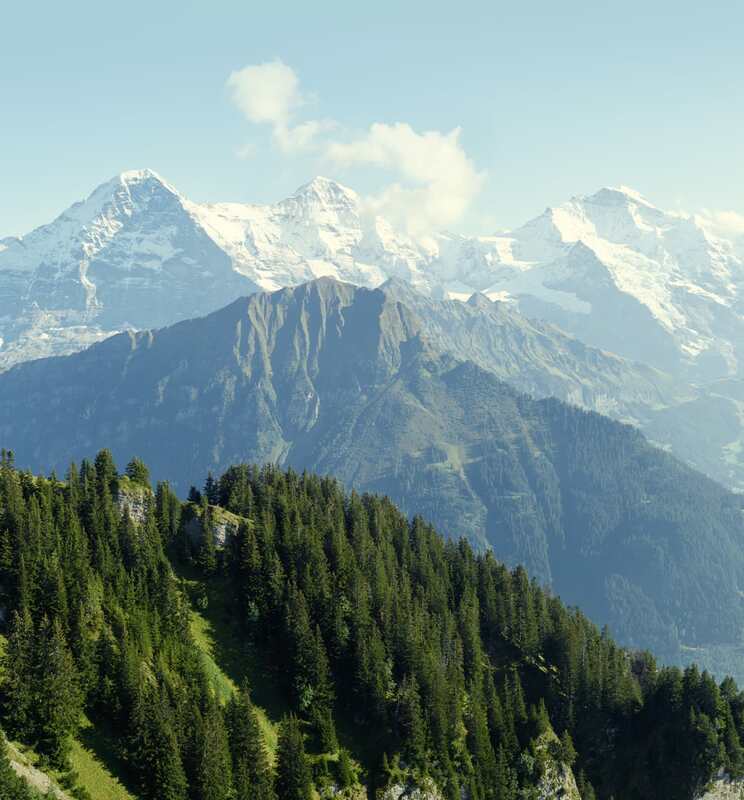 Switzerland is famous for its great views. This is why I absolutely had to come here. The view is much more impressive than I thought, however! And it's so relaxing up here. 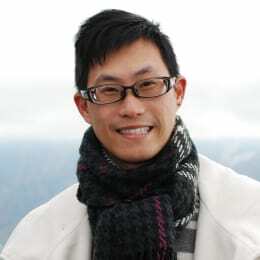 The cool October weather is a pleasant change to my home. And the landscape! Greenery cannot be any more intense. 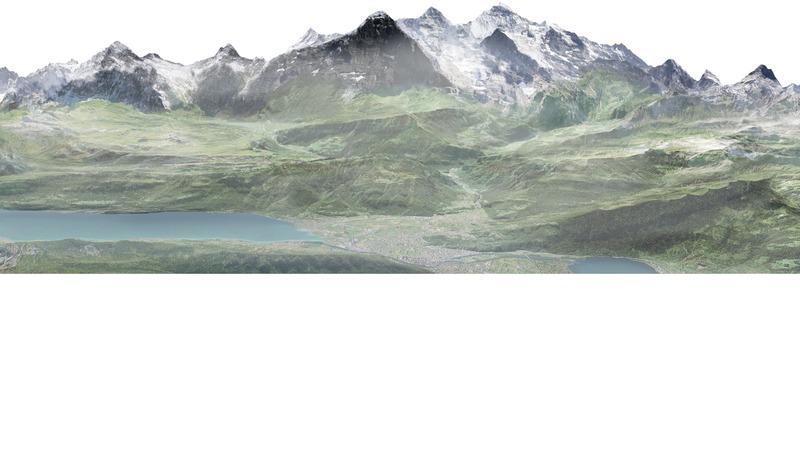 My next travel destination will be Switzerland again. My father has to see this country. I like our local mountain because I can quickly get to the viewing spot. I like to show our region to friends from this spot. The path up to Harder Kulm is also my Nordic walking route. The view here is breathtaking. The trip on the funicular is extremely steep, but that's exactly what I enjoy. I like it when it's exciting. Everything worth knowing about the Harder Railway in twelve stations. 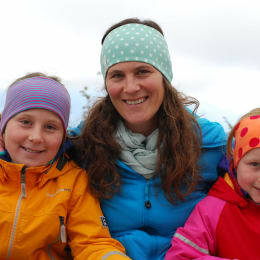 Exciting tour on the Harder ridge. 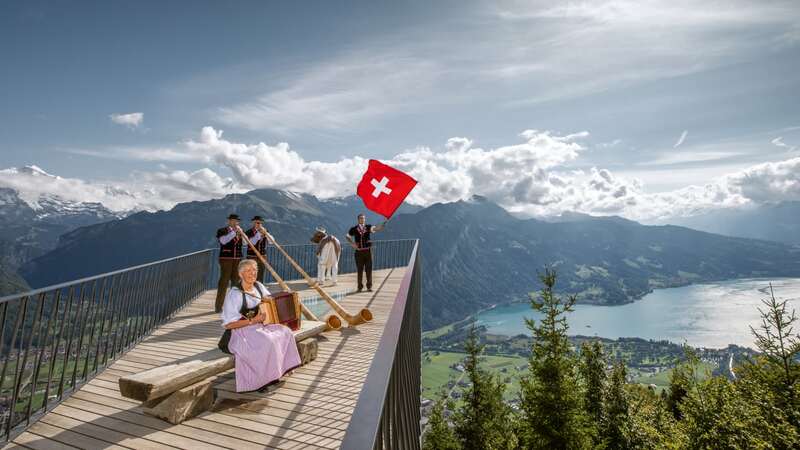 Live Swiss folk music. Traditional with "old hands" and lively newcomers. Treats from the breakfast buffet on Sunday morning from 8.30 to 11.00 h.
Combi-ticket at Super Saver Price: Set menu at the Panorama Restaurant and train journey. 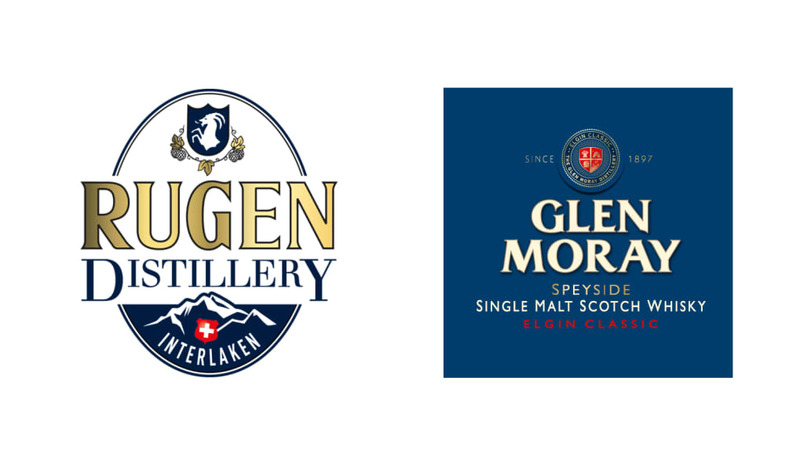 Tasting of exclusive whiskies followed by a 3-course whisky menu. A wonderful view and fine food at the foot of Harder Kulm. Then it's back to Interlaken via the Harder Railway. A leisurely dinner with a view of the three alpine peaks of Eiger, Mönch and Jungfrau. 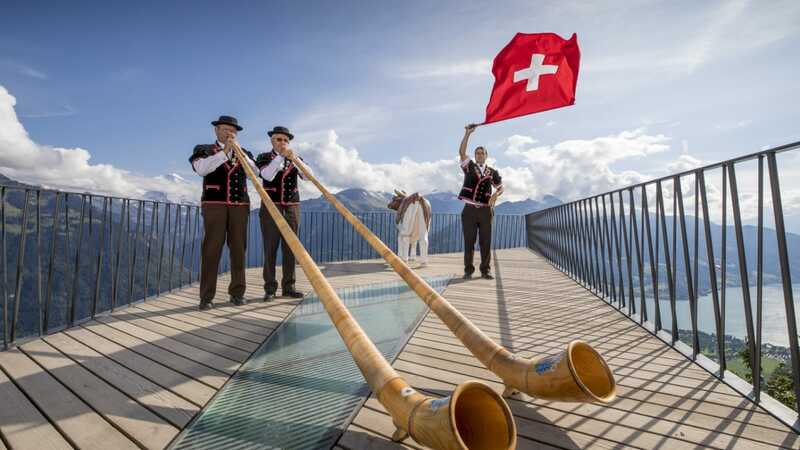 Spend the 1st of August with a fine menu in the Panorama-Restaurant Harder Kulm. 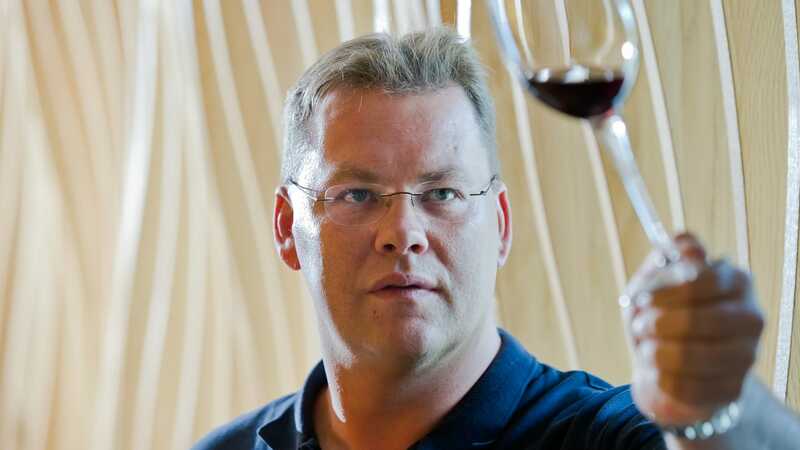 The 3-time Swiss winemaker of the year is pleased to personally introduce a selection of his best wines.